Having come through our busiest ever October-December period we are now in full maintenance mode to get ready for the new season. We doubled our warehouse space last season and now have a large on site cleaning area with our new industrial washing machine being delivered and installed this week. Now we will be able to clean both PVC and linings in house which will ensure a greater level of care and detail than contracting it out to a cleaning company as so many of our competitors do. 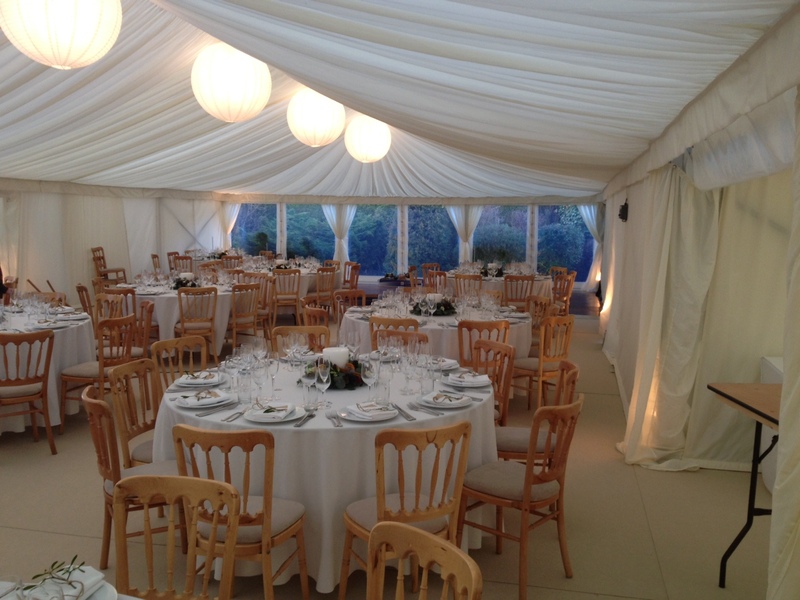 Dining space for the wedding. 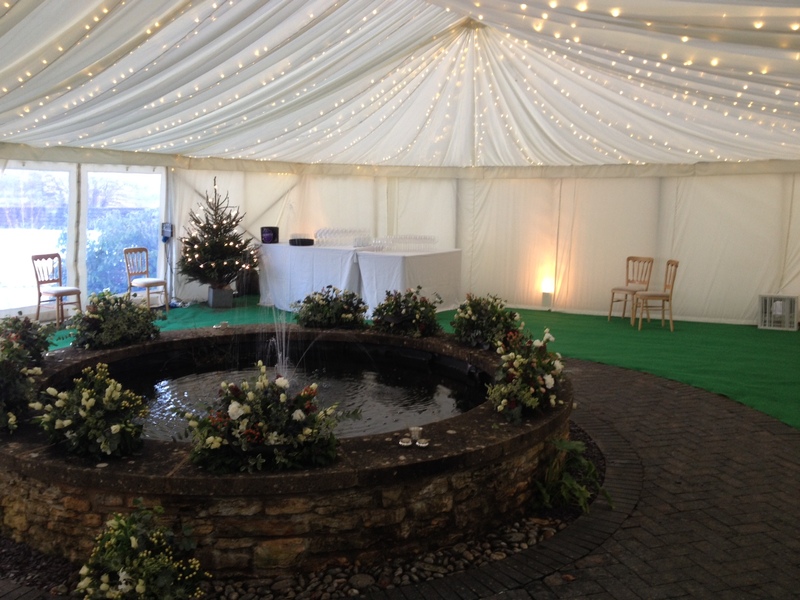 Upper garden area for champagne reception. 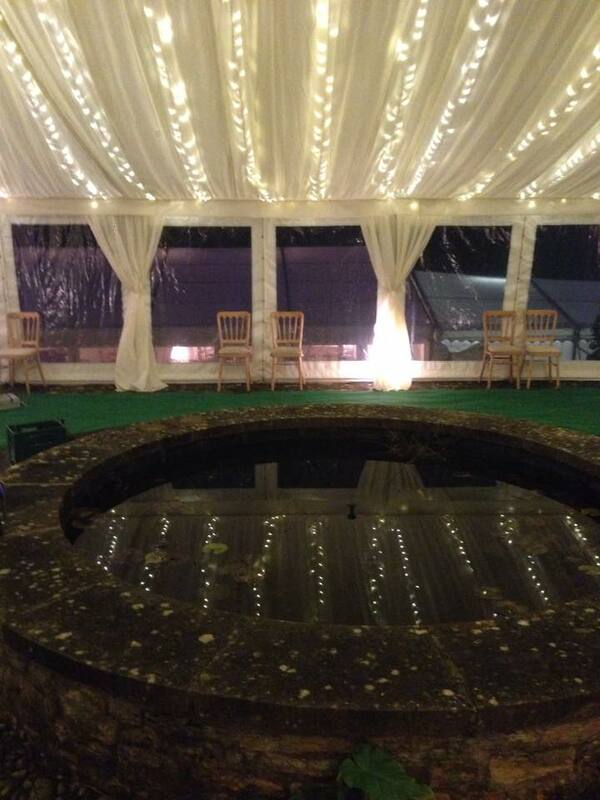 Getting fairy lights installed above the fountain was tricky to say the least! View from upper garden to dining space connected with walkway down steps. Effect of fairy lights at night. 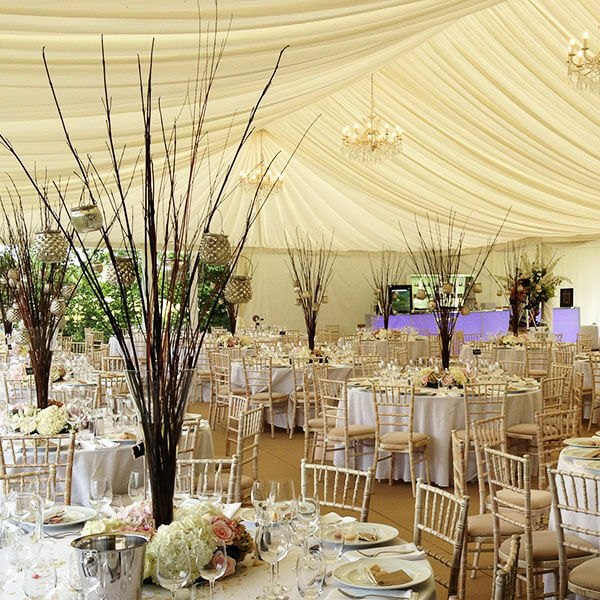 When operating in fields we are able to create a space large enough for reception, bar, dance floor and dining but gardens such as this are slightly more challenging, particularly in December! 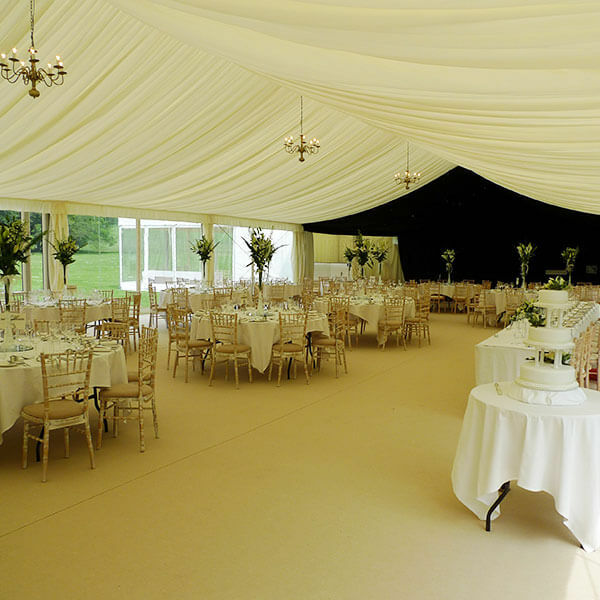 I think we made the most of the space and the dual windows on each marquee facing each other certainly helped guests to see what was going regardless of which space they were in. 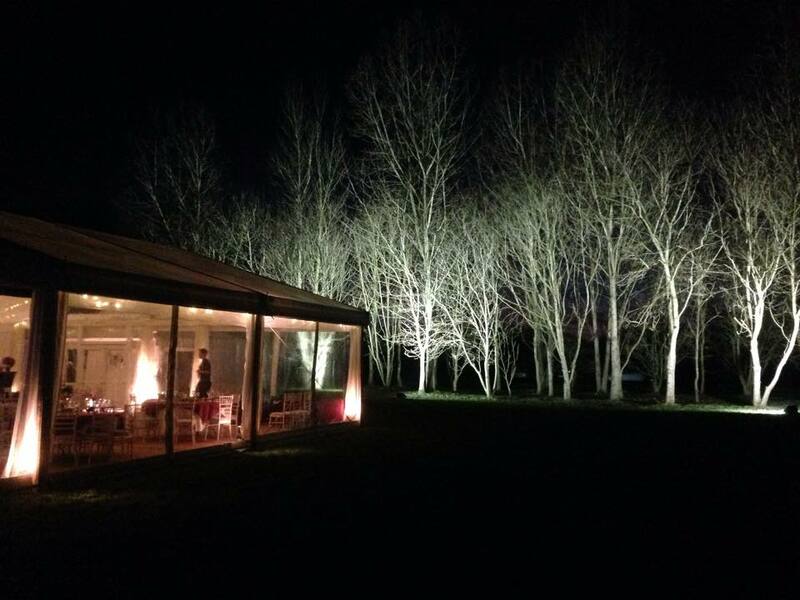 Shorter days in winter allow us to get more artistic with outside lighting. 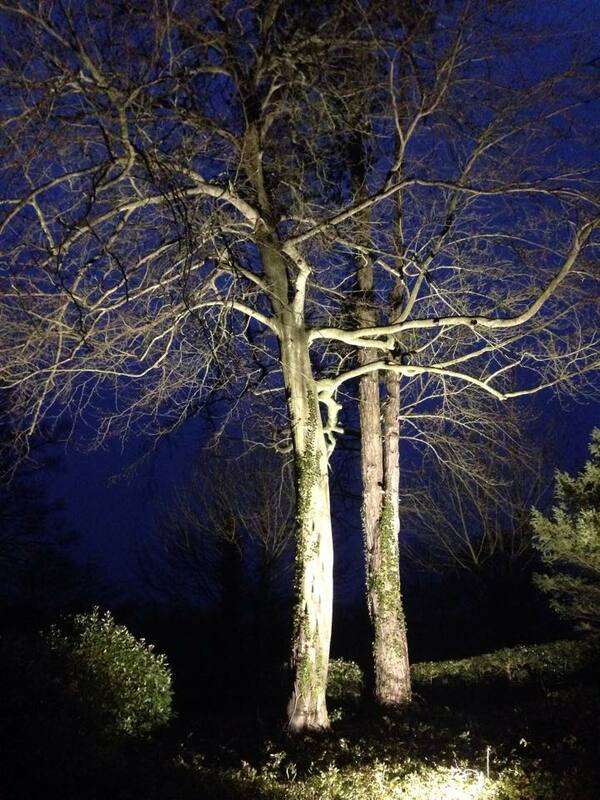 On this occasion Andy floodlit a tree in the entrance which acted as a nice feature on arrival as well as good light levels for around the toilet which was situated at the front of the house. 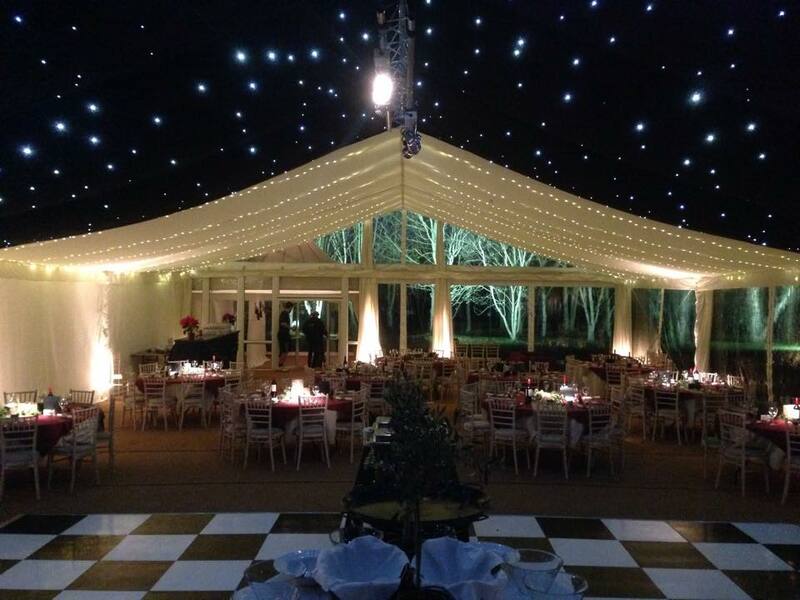 Here is a party we did in December for an 21st birthday party. 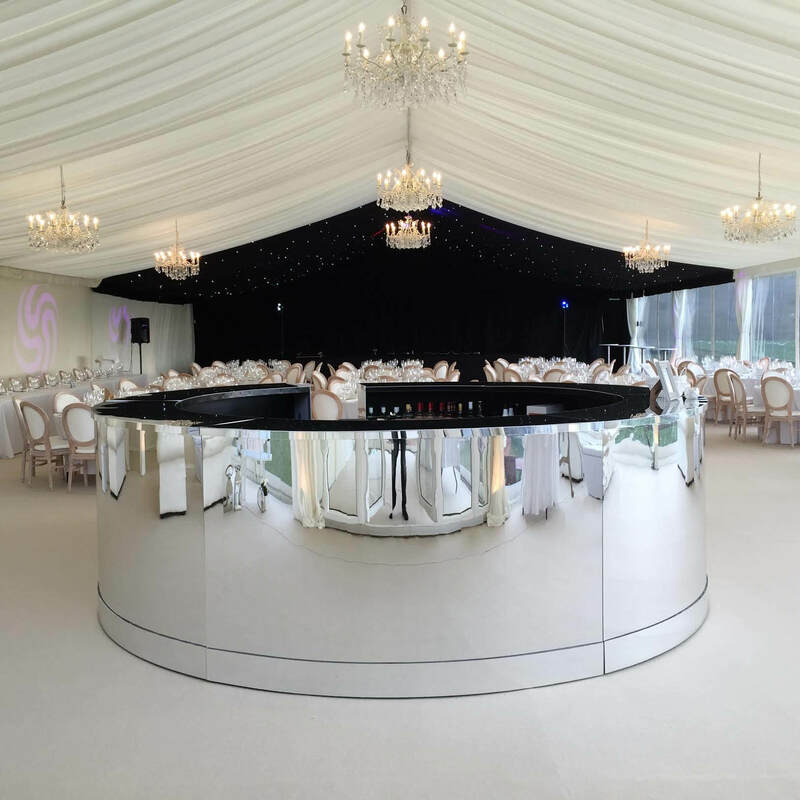 We actually fitted a coconut matting on top of a sub-frame hard floor here, the client liked the idea of matting to match the hessian table decoration. We regularly use matting just with a waterproof underlay but in winter this is ill-advised because the ground is often waterlogged. 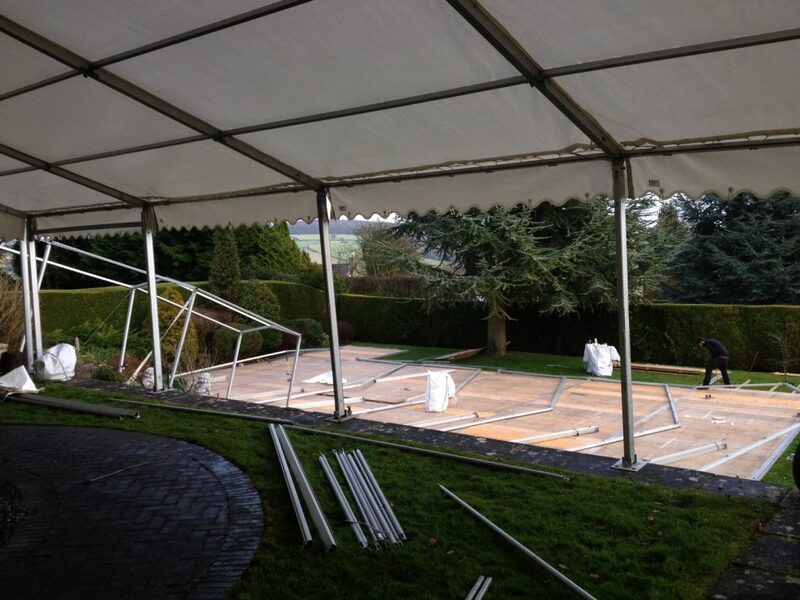 View from the opposite end of the marquee. 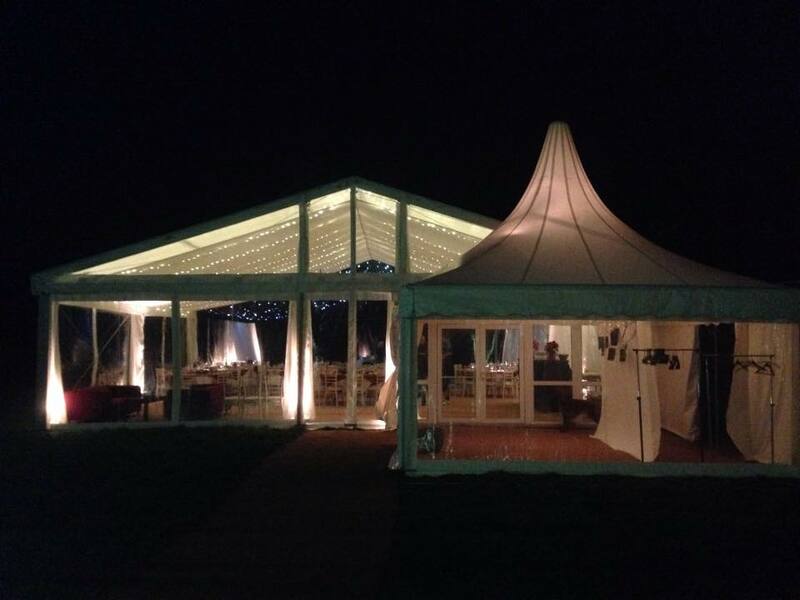 We used a clear gable to show off the outside floodlighting we had done in the wooded area opposite. View from outside. 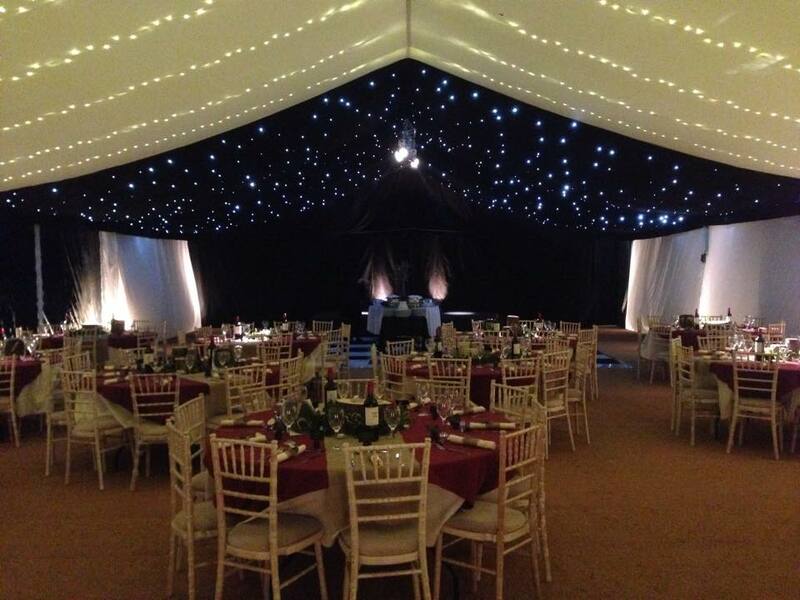 The Chinese Hat marquee works well when we use it as a joint entrance/toilet shelter. 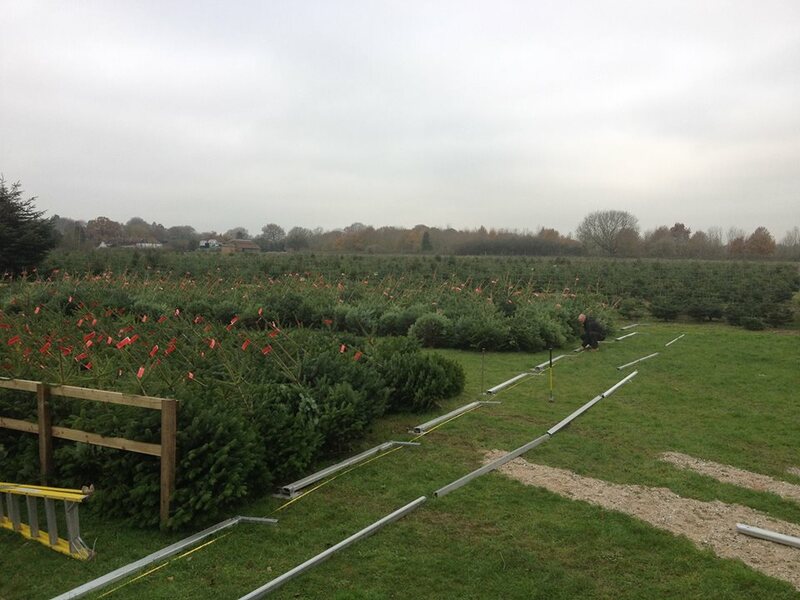 We also had a marquee set up for the Newbury Christmas Tree Farm.